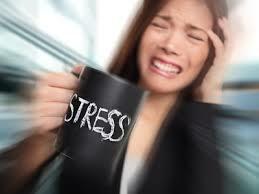 Increased Sensitivity to Stress After D.V. In the wake of domestic violence, many survivors are unprepared for the requirement of ongoing focus on their health to ensure complete recovery. After the danger has passed, many assume that everything will get back to normal without recognizing the toll the prolonged stress of domestic violence takes on long-term health. The prolonged, intense stress of domestic violence causes a “re-set” away from the “normal” amount of stress the body was built to handle. The end result is less resilience in the face of stressful situations compared with people who have not had long-term exposure to abuse. For some, the long term sensitivity may heal. For others, this may be an ongoing concern. The Mayo Clinic has an article that explains this very nicely. You can find it here. The article points out that everyone responds to stress differently, but certain people are more susceptible to have a highly sensitive response to stress based on life experience. Among those listed include: adults who experienced neglect or abuse in childhood, victims of violent crime, plane crash survivors, military personnel, police and firefighters. Although the article doesnn’t specifically list survivors of Domestic Abuse or Domestic Violence, the implications are clear. What survivor who was able to escape an abusive situation doesn’t describe the situation they left as a war zone? What saddens me even as I write this is that many victims enter abusive relationships that become extensions of the abusive dynamics they experienced during childhood. It is these who, after breaking the cycle of violence will find themselves struggling with the effects of stress more than others. The truth is that a victim who is able to end the cycle of violence often has a lifetime of stress on her body to answer for. Because of this, physical vulnerabilities created during the stressful days, months and years of abuse become “weak spots” that flare up and grab her attention even as she is joyfully “making up for lost time” with all of the fun and good things she wants to do now that her life is her own. True recovery requires a careful and vigilant watch on our physical and emotional well-being. A “flare up” of symptoms is no longer something to be ignored (a habit many of us fostered during years of abuse). If we are truly to be free, we must be gentle to ourselves. We must listen to our bodies. We must give our bodies, our minds and our emotions the rest and recovery they have needed for so long. Will some of us be able to permanently leave the “sensitivity to stress” behind us and live fast-lane A-List lives after abuse? I don’t know. I only know that my hope is that no matter how fast we choose to go, none of will go faster and further than we can go in a healthy, self-nurturing way. To hear Tamara talk candidly about the experience of stress sensitivity after domestic abuse, click here.